Janet Lynn Marren, 769 Jimtown Rd., Woodbury, was charged with Theft Of Merchandise Under $500 on May 9 by Woodbury Patrolman John Fesmire. Officer Fesmire responded to Fred’s Department Store on that date in response to a complaint of a shoplifter. The complainant told the dispatcher that the purported thief was a female driving a silver car and that it seemed the shoplifter was unable to start the vehicle. Upon arrival Officer Fesmire saw a vehicle matching the description and met Marren at the car. Marren stated she had paid for everything she brought out of the store. She then produced some makeup and said her 6-year-old daughter had stolen it. 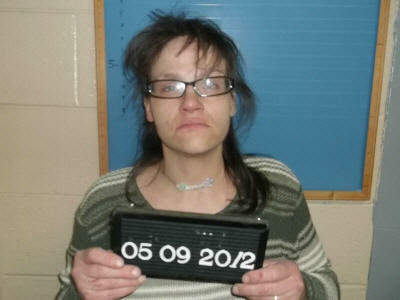 After Officer John House arrived on scene and began to head into the store to view surveillance footage, Marren admitted she had stolen the makeup. Bond was set at $2,000. At the request of store management, Marren was advised not to enter the store again and that if she needed to use the pharmacy to pull through the drive-thru window in the future. Initial court date is June 19.